Carmen Data are automotive web experts delivering data, websites, plugins and tools to clients in the automotive, fleet and publishing sectors. We supply the industry with a comprehensive database of vehicle data through multiple technologies. We provide a set of fleet tools to manufacturer websites such as Fiat that help company car drivers and their fleet managers to choose and compare vehicles. https://fiat-fleet.co.uk. Ford Lease wanted a website to generate contract hire enquiries for their dealers. The site promotes key offers as well as allowing visitors to pick any vehicle on a wide range of terms and mileage with factory-fit options. https://ford-quote.uk. Customised copies of the tools are now being rolled out to Ford dealers, with more features on the way. Comcar our own public site, has had a redesign. Simplified menu structure for tools, written guides and data tables. 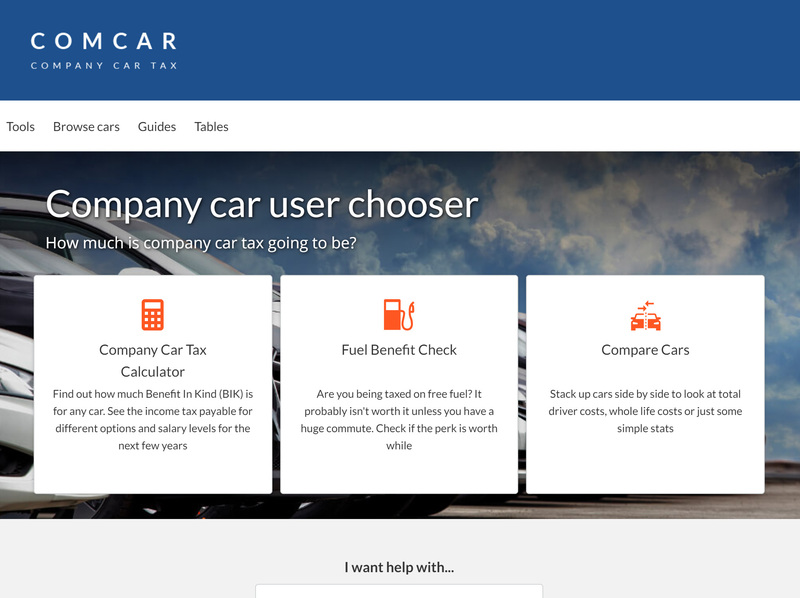 All the content has been built to be fully responsive so users can view complex data on small screen https://comcar.co.uk. 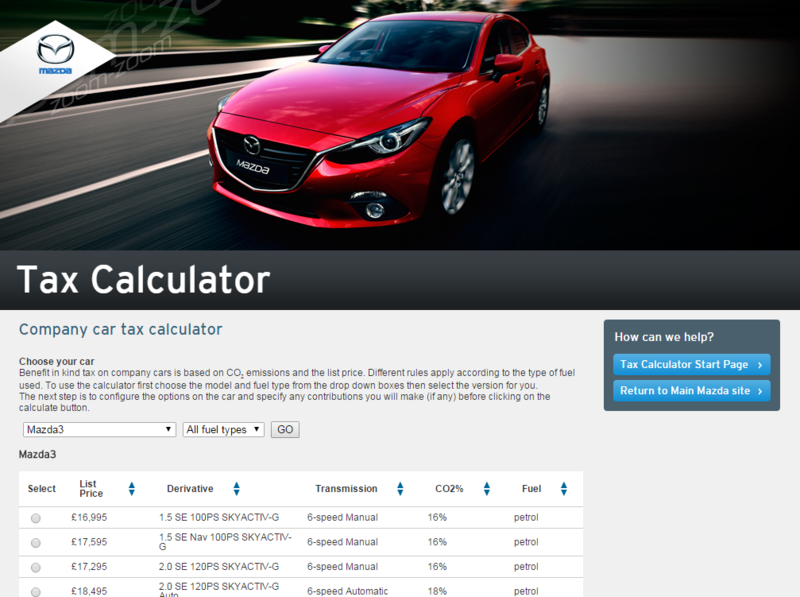 Mazda required a company car tax calculator with constantly up-to-date vehicle data. 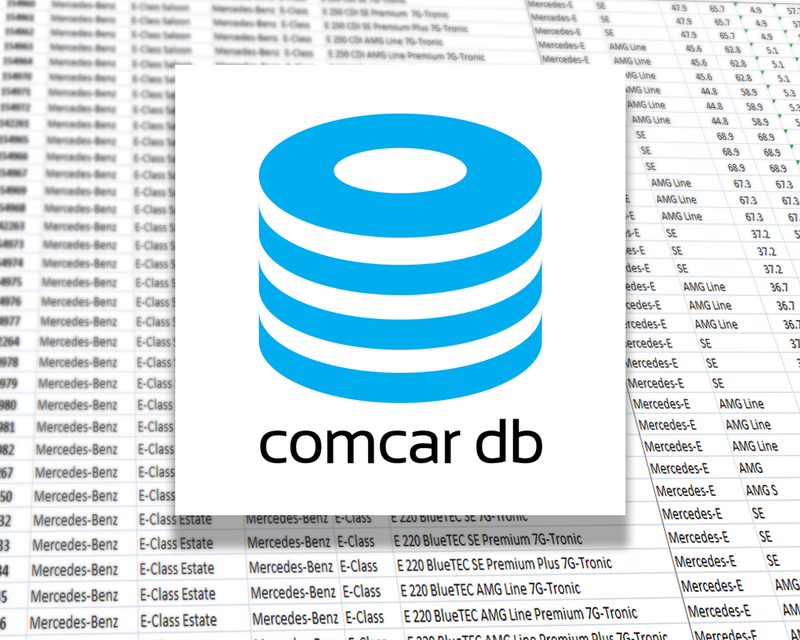 The Comcar database is the product of over a decade serving the automotive industry. Originating as the data behind comcar.co.uk, client demand led us to start delivering this tried and tested schema as a stand-alone product. Updated daily and distributed via multiple formats our data is currently feeding hundreds of websites across the UK car and van industry. Feeds can be a single file of the standard dataset or tailor made to the client's needs. We can produce it however is easiest for you. 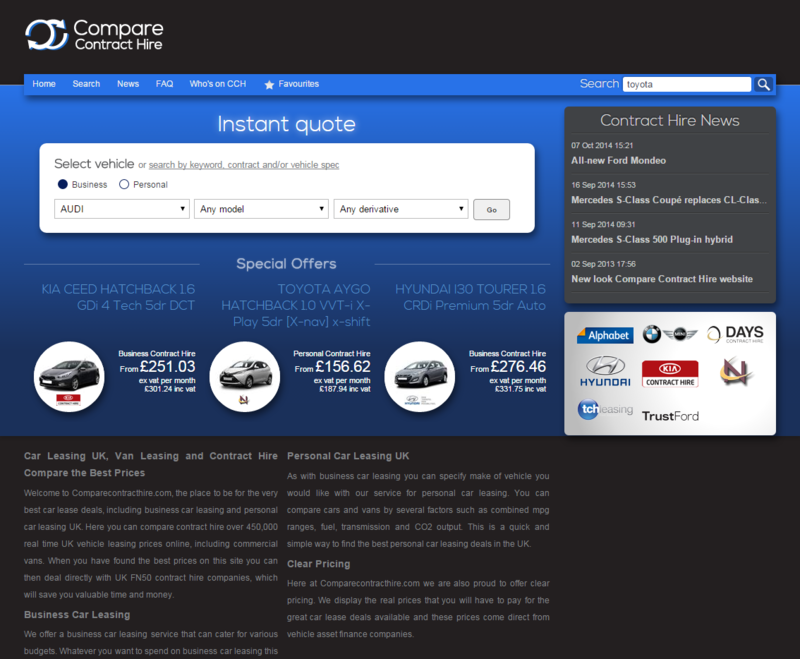 Compare Contract Hire is a comparison site aimed at SMEs. The site is underpinned by a huge database of vehicle contract hire rates. The Comcar Tools WordPress Plugin is the quickest way to integrate a few of our key tools into your WordPress site. Many of our clients were running sites on the WordPress platform so it saved valuable developer time to create our own plugin. Installation instructions are available in a GitHub Wiki here. 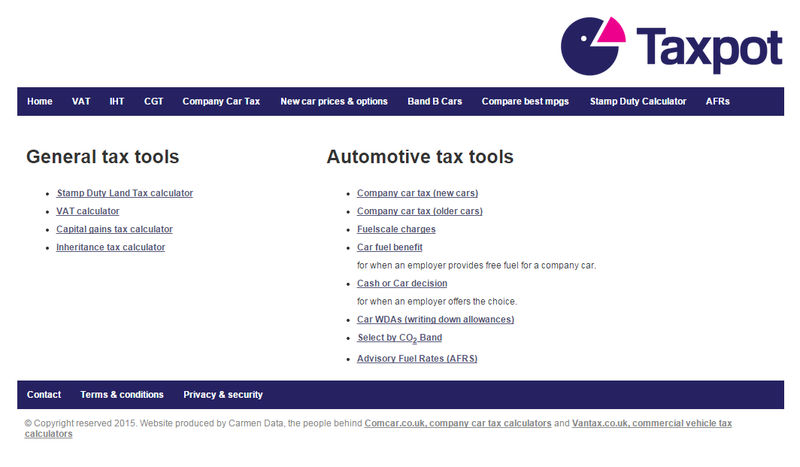 Our expertise on taxation extends to the user-friendly tools on the consumer tax information site, Taxpot.